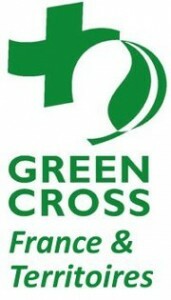 Green Cross International (GCI) is a Non-Governmental Organization(NGO) based in Geneva, Switzerland which was founded in 1983 by Mikhail Gorbachev. Its mission is to respond to the combined challenges of security, poverty and environmental degradation to ensure a sustainable and secure future. GCI enjoys consultative status with the United Nations Economic and Social Council, and United Nations Educational, Scientific and Cultural Organization. GCI is an admitted observer organization with the United Nations Framework Convention on Climate Change and the Conference of the Parties to the UN Convention to Combat Desertification. It also cooperates directly with the UNEP/OCHA Environmental Emergencies Section, UN-HABITAT and other international organizations. 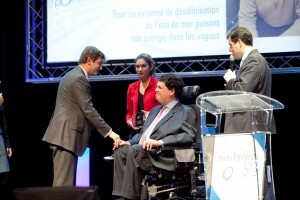 RME COO, Olivier Ceberio was named “Engineer of the Year, 2012” in the “Sustainable Development” category by the weekly French business magazine, “Usine Nouvelle.” During the awards ceremony, Ceberio received his prize from Eric Molinié, deputy Director of Sustainable Development at EDF, the giant French electricity monopoly, and President of the French humanitarian relief organization SAMU Social. The “Sustainable Development” award is attributed to an engineer or a team of engineer implementing an innovation at the service of society fulfilling three criteria: economical profitability; social stewardship and protection of the environment. Other Engineers of the Year include Didier Leroy, CEO at Toyota Motor Europe and Thierry Pilenko, CEO at Technip.